This was the year Dream Girl became one of the biggest hair and beauty brands on the market. A new look and a New Face, awards, celebrity followers and a great presence online and offline, Dream Girl the hair extensions expert owned by Dooa has got a lot to celebrate as 2011 comes to an end. Dream Girl began the year launching a competition for a New Face. Aimed at finding a young model on the lookout for her first big break, the competition would find a face who would match Dream Girl’s sassy and trendy brand. For a company looking to take the next step and make its mark on the national and international stage, the new face would join them on the journey and represent Dream Girl as a fresh-faced young model ready for the global market. The campaign injected energy and enthusiasm among Dream Girl’s friends and followers on social networking platforms like Twitter and Facebook. Gaining thousands of new friends online, Dream Girl launched the competition digitally, keeping fans and entries up to date with a new weekly blog. Fans even got to vote for the winner from a shortlist of four via Facebook. Sponsored by glamorous London salon chain O’Sullivan Concept Salons the contest made a real splash, with the Facebook poll receiving hundreds of entries and votes. The New Face was unveiled at Salon International this October. Like its activity throughout the rest of the year, Dream Girl’s plans for ExCeL were to wow the industry. Live demonstrations, styling with hair extensions by professionals it was an eye-catching display signifying Dream Girl’s ambition. It also coincided with an online re-brand, with a new easier to use website and new logo. A new line in wigs, the Chic Collection, continues Dream Girl’s dedication to quality, beautiful products at affordable prices. Through Linkedin, Facebook and Twitter as well as the weekly blog, Dream Girl has connected with thousands of new fans and customers this year. Engaging with salons and international beauty titles like Hair Magazine, Elle, All About Soap, Latest Hairstyles, Marie Claire and Hairdressers Journal Dream Girl, the sponsor of this year’s Bubble Awards with All About Soap, has raised its profile, competing with the biggest hair and beauty names in the UK and Europe. So what’s planned for next year? Well more of the same. 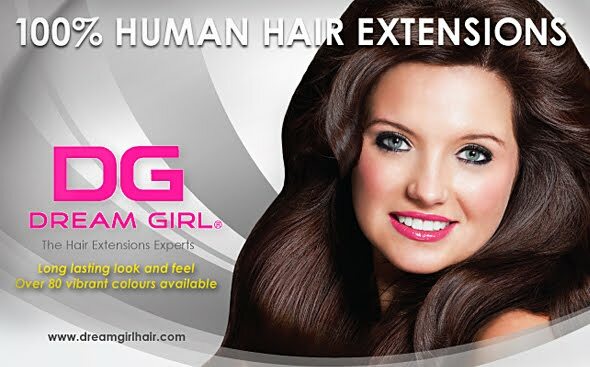 Dream Girl is well on the way to becoming the most popular Hair Extensions brand in the UK. Fashionable, trendy and sassy more and more salons and fashionistas are turning to Dream Girl to make them glamorous every day. Dream Girl, always hair for you. Need2try their extensions sometime soon!